Save on your next flight from CGD to MLI when you book through Travelocity. Need a last-minute flight to Moline? Travelocity offers discount airfare no matter when you book, even on popular routes such as Changde Airport to Quad City Intl. Airport. Whether you need a direct or indirect flight, you can trust Travelocity to provide you with the best prices for CGD to MLI flights. Situated near the airport, this hotel is 0.9 mi (1.5 km) from SouthPark Mall and within 6 mi (10 km) of TaxSlayer Center and Isle of Capri. John Deere Pavilion and Black Hawk State Historic Site are also within 6 mi (10 km). 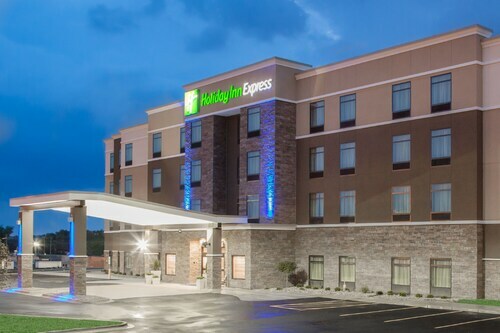 Situated in Moline, this hotel is 0.5 mi (0.8 km) from SouthPark Mall and within 6 mi (10 km) of TaxSlayer Center and Isle of Capri. John Deere Pavilion and Black Hawk State Historic Site are also within 6 mi (10 km). Situated near the airport, this hotel is 1.2 mi (1.9 km) from SouthPark Mall and within 6 mi (10 km) of Niabi Zoo and John Deere Pavilion. TaxSlayer Center and Deere and Company World Headquarters are also within 6 mi (10 km). 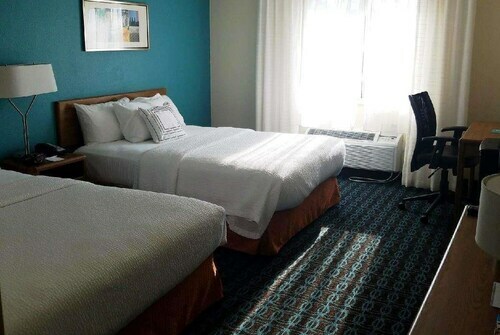 Situated near the airport, this hotel is 0.3 mi (0.4 km) from SouthPark Mall and within 6 mi (10 km) of TaxSlayer Center and Isle of Capri. John Deere Pavilion and Black Hawk State Historic Site are also within 6 mi (10 km).